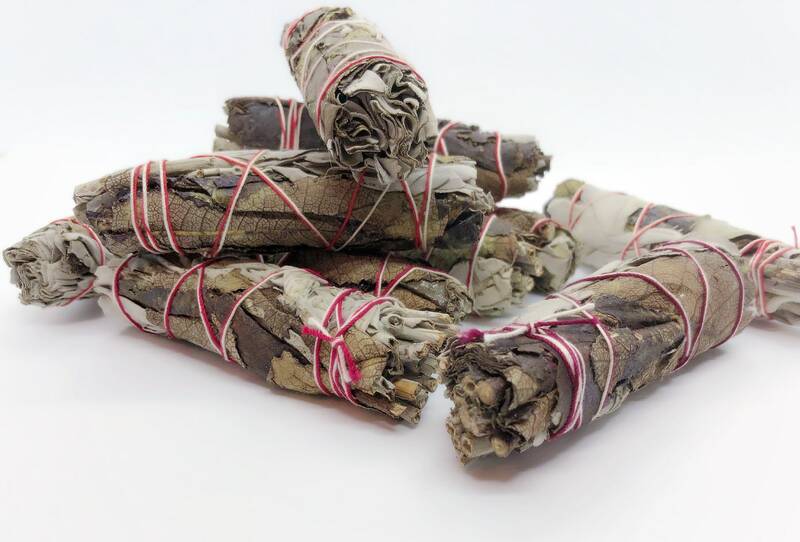 Organic Yerba Santa & White Sage smudge sticks sold individually. 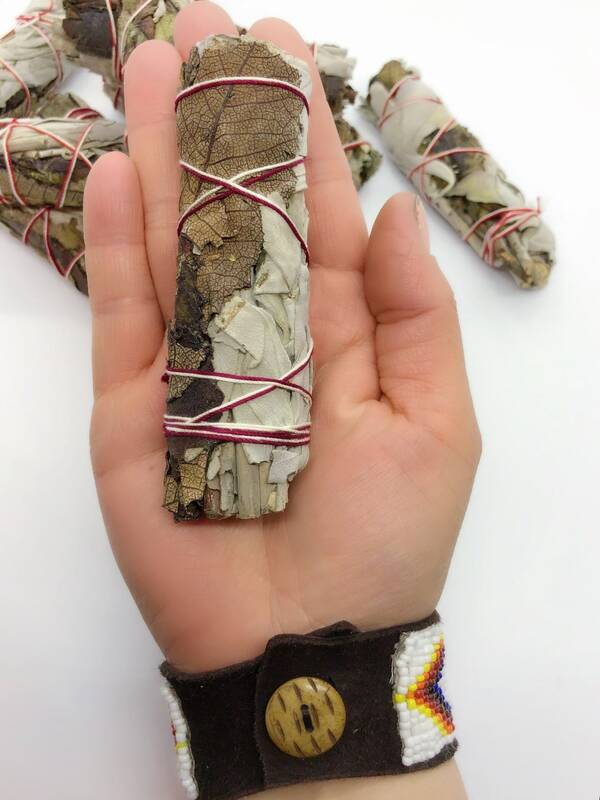 Each smudge stick is 4” mini size and contains a mix of both Yerba Santa and White Sage. Yerba Santa had a delightful sweet aroma that compliments white sage beautifully. Wild grown and hand harvested using sustainable and traditional methods of offering and prayer. Exactly as pictured. Smells amazing! I use this to establish borders in my home when I feel that I need my own space and it's being violated. Shipped earlier than expected. Thanks!